Our Boston mesothelioma lawyers know companies across the world exposed both workers and consumers to deadly asbestos fibers while fully aware of the health consequences. 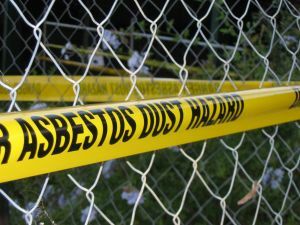 In a recent article from ABC News, authorities are concerned homes in Sydney may be have been built with deadly asbestos in the 1960s and 1970s. This story involved asbestos “fluff” pumped into the roof spaces in homes to act as insulation. Asbestos is a naturally occurring mineral that can be processed into a variety of forms to serve as insulation that is resistant to heat, electricity, and chemicals. While asbestos was once thought an amazing product that was both cheap and effective, we know now that breathing asbestos fibers for even a short period of time can lead to the deadly form of cancer known as mesothelioma. The fibers are inhaled and get embedded in the lung tissue. The body has no natural way to expel these fibers, so they remain in the lungs, causing cancerous growths. Mesothelioma will often develop over years or even decades without the patients having any idea they are sick until they start to develop pulmonary symptoms. By the time a patient goes to a doctor, it is often at a point where the disease in a very advanced stage, and the patient does not have long to live. The fact that asbestos dust and fibers cause mesothelioma is the reason that a loose form of asbestos such as insulation fluff is far more deadly than solid forms. The fluff is constantly giving off dust and fibers that are deadly to workers who sprayed the fluff, people in the homes, and the community as a whole. The reason the community in general is at risk is because asbestos dust can be carried out through vents in the roofs of houses and be present in the air. What makes matters worse is evidence that surfaced showing the company disregarded a warning from a health official in the late 1960s, which highlighted exactly what could and did happen if asbestos fluff was pumped into homes. Officials recommended the use of asbestos fluff be stopped immediately. He went on to stay that asbestos should only be used when absolutely necessary and then only in solid form, which is less likely to emit deadly asbestos dust. In addition to installing the asbestos fluff in the roofs of homes, several companies sold asbestos fluff in bags for homeowners to purchase and install themselves. The government has established a program to clean the homes of asbestos insulation, but it’s a costly and dangerous process that can leave a family displaced for extended periods of time. The public is also demanding a list be made available by the cleanup agency, which identifies all homes that were sprayed with the asbestos fluff. This of course will not include homes where the homeowner installed the insulation himself or herself.